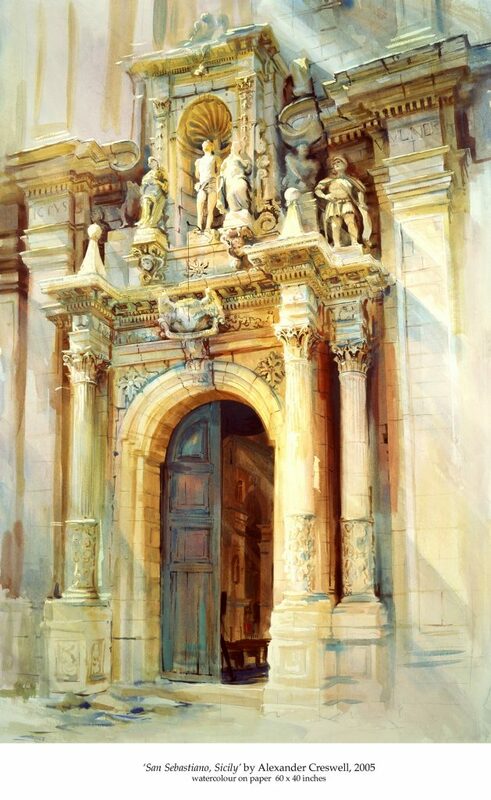 Alexander Creswell is a British painter born in 1957 and one of the country’s most successful living artists. 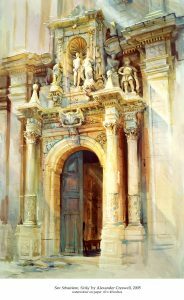 He studied at Winchester College, a highly respected public school in England and afterwards attended Byam Shaw School of Drawing & Painting in London and West Surrey College of Art & Design in Farnham, England. 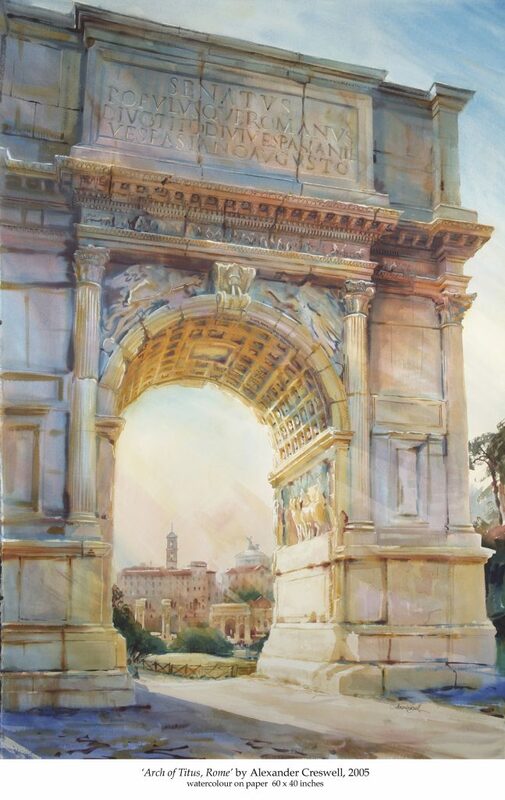 While completing his studies, Creswell was frustrated by the trend he found in art colleges which lacked rigour of form, composition, perspective and colour theory. He is, accordingly, largely self-taught. Alexander Creswell has grown within the great tradition of architectural watercolorists. 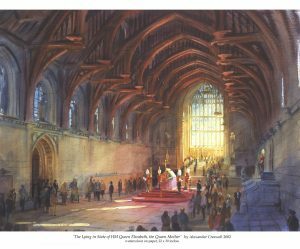 He is very well known for his watercolours of Windsor Castle, one of the official residencies of the British Royal Family, which was partly destroyed in a fire in 1992. In his paintings, Mr. Creswell depicts both the fire and the subsequent restoration. 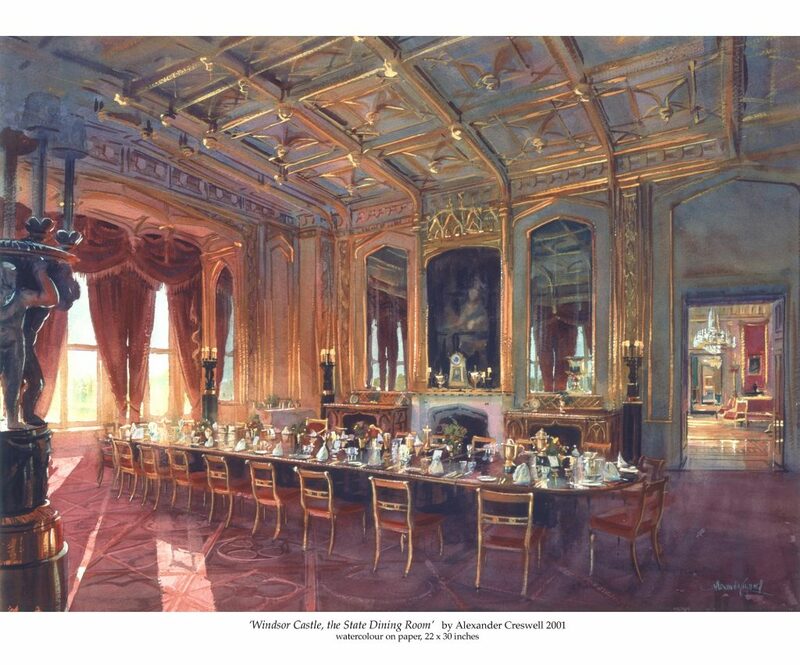 These paintings were commissioned by HM Queen Elizabeth II. Alexander Creswell has also travelled on tour with HRH The Prince of Wales as his official artist. 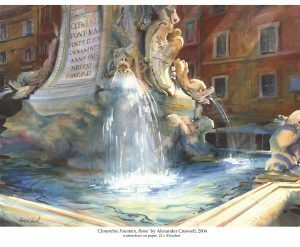 Alexander Creswell travels throughout Europe, the USA, the Middle East, Egypt, China and Russia. 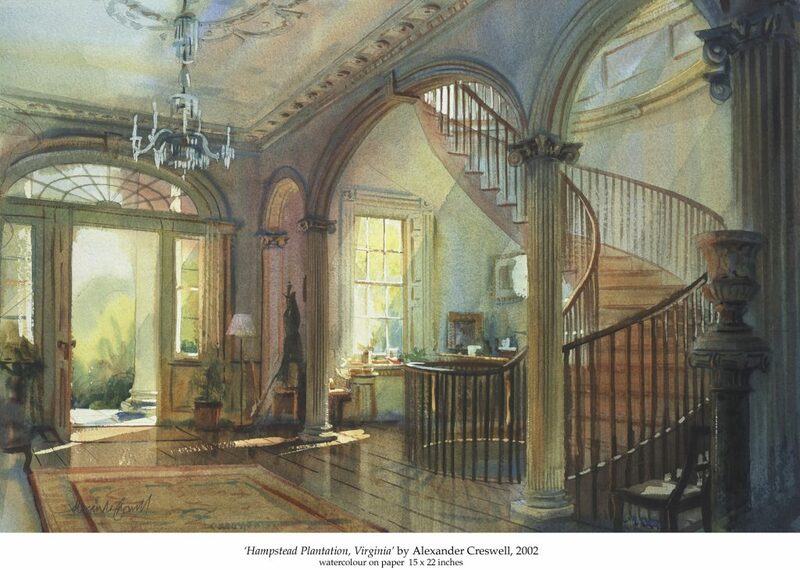 In Britain he has received numerous commissions to paint great both country houses and fine architecture in general. After his first visit to Sicily, he seemed absorbed by the island’s landscape and tumultuous history. 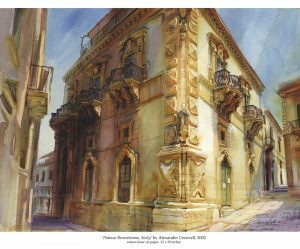 The result was the exhibition “Power & Glory – Sicilian Baroque” which encapsulates the spirit of two centuries of Sicilian architecture, starting with devastating earthquake of 1693. Alexander Creswell has had numerous solo and public exhibitions around the world. 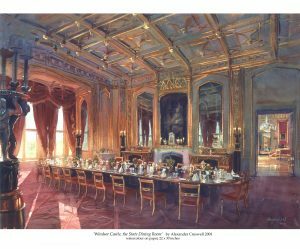 He first captured public attention in 1991 with his book “The Silent Houses of Britain”, a study of abandoned country houses. He also wrote and presented a television documentary on the subject. 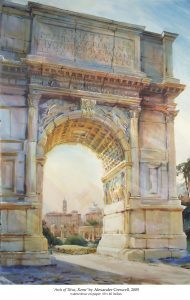 Critics say that his paintings depict often familiar subjects presented in a manner unique to his eye. His work is widely published.